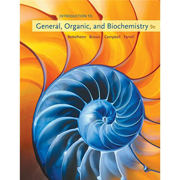 Welcome to Chemistry 212 — Survey of Organic and Biochemistry, section DE taught by Prof. J. Walker, Fall 2010, Truman College. If you are enrolled in this section please check this website frequently for announcements and new information. Section DE meets Monday and Wednesday from 12:30 p.m. to 3:15 p.m. in room 3831 beginning Monday August 23rd. Dr. Abrams is also an instructor for Chemistry 212. I recommend that all students visit Dr. Abrams' website. He has an extensive collection of practice quizzes and exams including a readiness/review quiz..
Survey of organic chemistry including nomenclature and reactions of major functional groups essential to biochemistry and an introduction to the structure and function of biomolecules, and the metabolism of proteins, lipids, and carbohydrates. Writing assignments, as appropriate to the discipline, are part of the course. Prerequisites: Chemistry 201 or consent of department chairperson. 3 lecture hours and 3 lab hours per week based on sixteen weeks. Credit Hours: 4. 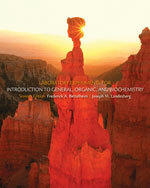 Introduction to Organic and Biochemistry 7th ed. Companion site for textbook: Free flashcards, quizzes, active figures etc. note: It is possible to use the 6th edition of this book. Although a model kit is not required, it is strongly recommended that you obtain one, and you will need it in the first week of class. Please refer to recommendations by Dr. Abrams when chosing a suitable model kit. This class involves lots of drawing chemical structures. Colorful pencils/pens are useful while taking notes. Caffeine has the molecular formula C8H10N4O2 and acts as a stimulant in humans. It is found in many beverages such as coffee, tea, cola and energy drinks. The name comes from the Italian term for coffee, caffè. Read what Wikipedia has to say about caffeine. Friedrich August Kekulé von Stradonitz— He was the principal founder of the theory of chemical structure and most famous for his work on the structure of benzene. Friedrich Wöhler — He accidentally synthesized urea in 1828 and showed it was possible to artificially prepare organic compounds.